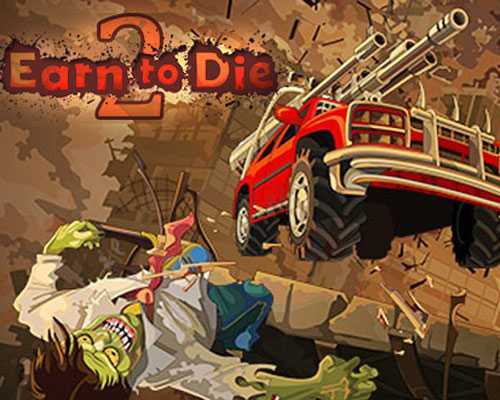 Earn to Die 2 is an Action and Racing game for PC published by Not Doppler in 2016. Squish all of the zombies on the way with your car! The question is this: Will you survive a zombie apocalypse? Most of the people have turned into zombies! It’s so hard to survive this situation. You have to pick a special vehicle to face the zombies at first. Then, There will be a tutorial level for the beginners to learn how to play. It will take just some seconds to know the controls of Earn to Die 2. There will be only a few number of zombies in the primary levels. You can kill them easily to reach the other levels. Your vehicle won’t be so much powerful at first too. You have to get scores by killing the zombies to upgrade this vehicle. Each vehicle has some parts that can be upgraded. For example, You can equip different types of weapons on it. There are ten kinds of special cars that you can get at this action racing game. Each one has a specified price. You should kill enough zombies to be able to get one of them. You will also face various types of creatures at Earn to Die 2. Sometimes, You just need to squish them with your car to kill them. But this way doesn’t work all the time! As some of you know, Earn to Die 2 was a web game. Now, It’s been published on Steam officially for Windows OS. It’s possible to install it on your windows instead of playing it on a web browser! 25 Comments ON " Earn to Die 2 Free Download "
I never thought there is a sequel of this game and it was awesome!